I had my first Acai bowl in Brazil years ago and it changed my life. I was hooked immediately. I find that it makes the perfect breakfast when it’s hot outside, or a great lunch when you want to feel full, but not be weighed down by heavy foods. Also, not that I know this from personal experience or anything, it’s like manna from heaven when you have a hangover. 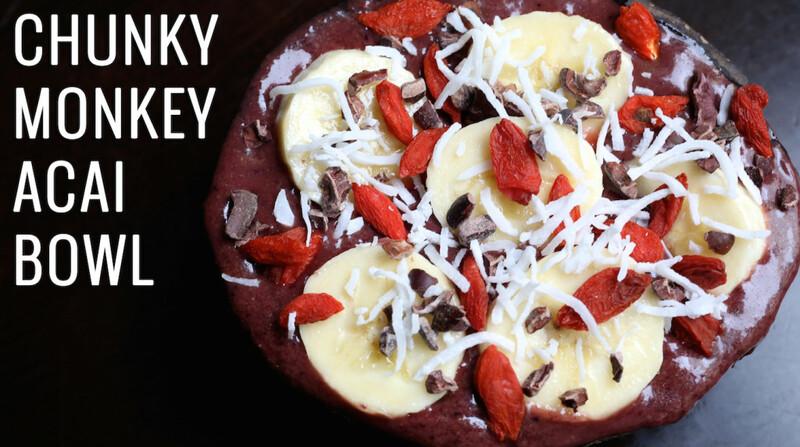 Everybody has their own way of making it, I’ve had at least thirty variations, but this Chunky Monkey Acai Bowl is my absolute favorite. The Coconut Milk makes it extra creamy and I could eat Goji berries like candy. Put your acai, strawberries, blueberries, and coconut milk in to a blender and mix until smooth (about 2 minutes). 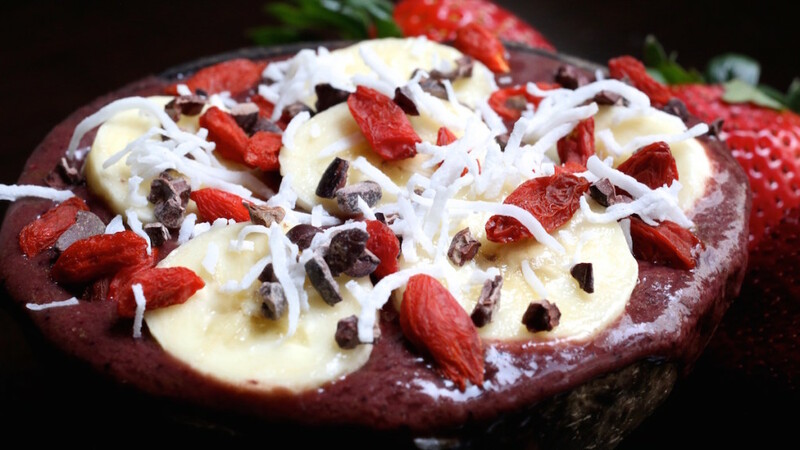 Pour the acai mixture into a small bowl and top with the sliced banana, goji berries, and cacao nibs. Enjoy! that looks Yummy , thanks for sharing this recipe.